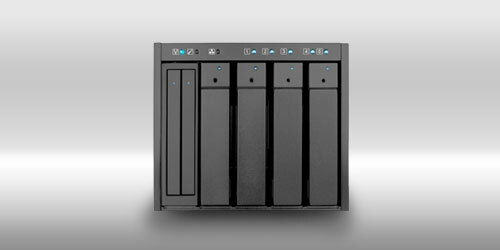 In 3 of CD-ROM dimension slot can provide two 2.5" hard drives with RAID 1 made up of four 3.5" hard drive consisting of RAID 5 storage space, both in use of different levels of data protection which is the best partner of needs of SMEs in MIS, monitoring system or designing a workstation operating system and application data stored separately. Use of its available 2.5" RAID 1 with 3.5" RAID 5 storage space to separate the operating system and related application information, can ensure that the operating system to maintain its operation at any time, but also worry free about data loss due to damage hard drive! 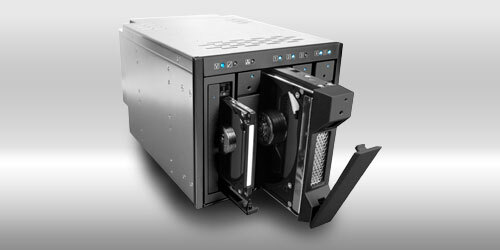 It is separate with two SATA ports for each access to RAID 1 and RAID 5, so that the operation system and application data access will not affect each other. 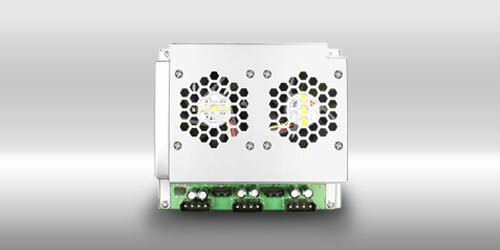 With two individual 6cm cooling fan can be effectively excluded internal heat generated by operation to further overheating caused system crashed.